Island scrub jays are considered ecosystem engineers, an animal that plays a large role in shaping the environment in which they live. 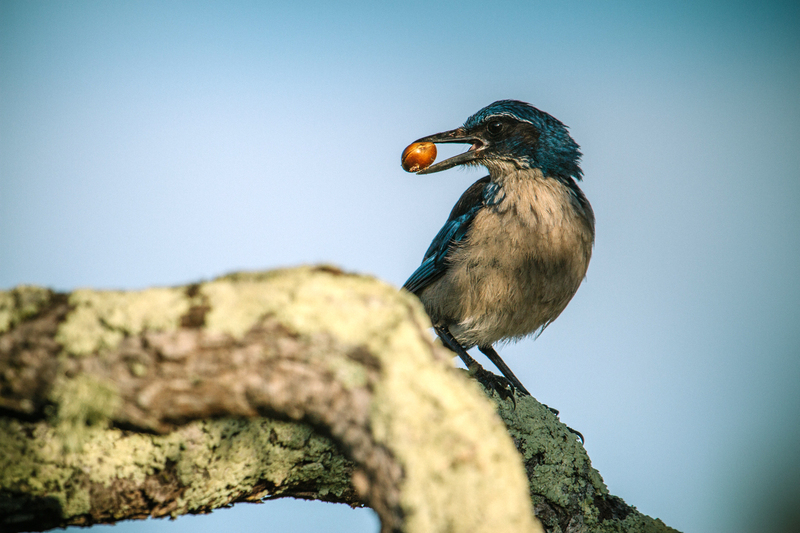 In particular the jays cache and disperse seeds for many of the tree species on Santa Cruz Island. This behavior could help the birds restore Santa Rosa if reintroduced. That island has been severely impacted by habitat loss. Here, an island scrub jay takes native seeds that researchers have placed on an oak tree branch on Santa Cruz Island, The Channel Islands.